Siemens Multistix 10 SG Reagent Strips for Urinalysis from HealthyKin.com are the reliable choice for urinary tract infection (UTI) detection. Consistent quality in manufacturing and packaging of Multistix urinalysis strips ensures high quality, reproducible results - each strip, every test. 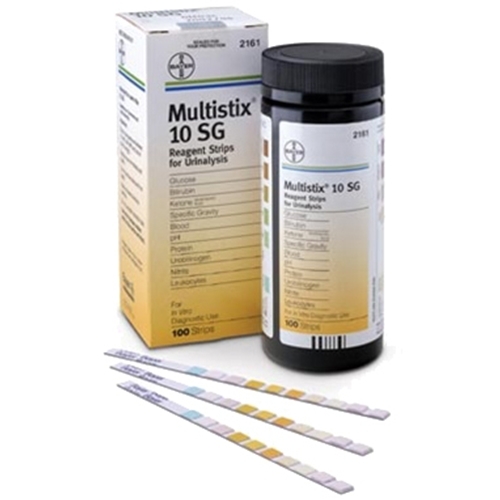 Multistix 10 SG urinalysis strips are an effective "rule-out" tool for patients with suspected UTI.